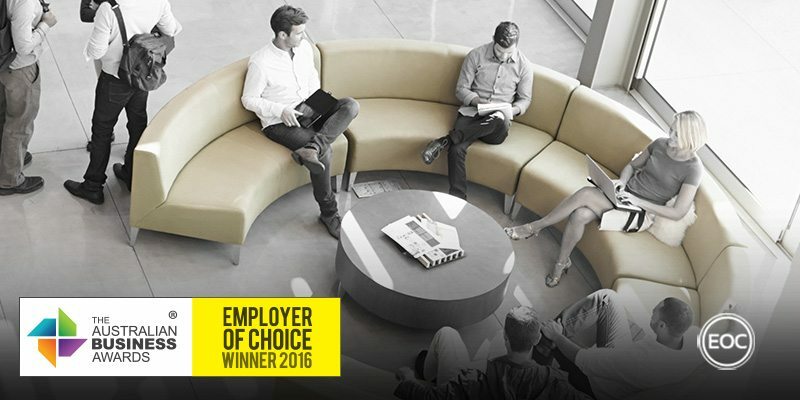 Kingfisher Recruitment has been recognised as an Employer of Choice in The Australian Business Awards 2016. Employing 29 staff, Kingfisher is a professional recruitment organisation across the built environment that specialises in the property industry. They have striven to provide high level consulting advice and services to both employers and job seekers since establishment in 2005. Kingfisher aim to provide a respectful team environment where the expertise individuals bring to their roles is recognised and valued. Workplace culture is designed to provide for a supportive environment with structure, process and the best tools available for staff. By providing this environment, Kingfisher are able to operate with a consistent approach that’s designed to deliver consistent results. Consultants are encouraged to participate within the industry, whether its industry functions or taking active roles within industry associations. Ongoing training and development is also important to Kingfisher, who provide consultants with a career path plan that aligns to their personal goals. This development is undertaken in a two stream approach. First, through an annual training budget that’s allocated to each consultant and grows in value alongside their time with the company. Secondly, they work closely alongside an industry coach who provides consultants with one-on-one support and development on a quarterly basis. All Kingfisher employees are subject to an annual review, where their performance is assessed and new goals and targets are set for the coming year which are in line with the company’s and individuals’ objectives. Management is also committed to communicating with the team and the head office has been fitted out with this in mind. There are several break-out spaces, including a 14-seat table for the team to interact and convene. Kingfisher believe that inspiring the team is great for focusing on our future goals, acknowledging the work that everyone has put in by providing opportunities for the team to enjoy some relaxation together. One of the main incentives offered is an overseas trip. This is not only offered to staff who achieve a certain level of performance, but also includes a ‘directors’ choice’ for staff who show particular commitment to the company’s goals and values. These values extend to employee safety. In order to ensure a safe and secure work environment, Kingfisher have implemented an extensive policies and procedure manual which each new employee has a focused training session on via their Talent Manager. Additionally, regular internal seminars are run to refresh and educate staff on any new wider policies and procedures.